Over the past couple days I have been through a whole variety of single family homes in Kamloops; upwards of 25 or so listings. I have found that in today’s market the pricing of these properties is all over the place. It appears that there is no consistency in the pricing of listed properties and I think this is because of either the home seller or agent confusion. First, in my opinion, since the market has dropped some sellers are stuck at 2007 values, where homes were 10% or so higher than today’s market value. We were living in a real estate bubble where housing prices “would never go down” or “buy now or be priced out forever”. It is a fact that when we are in the midst of a housing bubble, people feel like it will never end, probably because of human nature. It is easy to get caught up in the euphoria of it all. I have to admit, that was the feeling I got from a lot of people around me, but I personally felt the change coming. We are now getting back to reality and working towards a balanced market, but are still far from it. Sellers have to price their homes competitively to sell, there are far more homes rejected from the market because of price in comparison to the number of homes that sell. To get your home sold, price your home right from the beginning. If you as a seller want to reduce, approach your agent, they should welcome the idea. Secondly, there is this belief out there that prices will return to previous levels in the spring. This is felt by some sellers and Realtors alike. I have a very hard time believing that this could be remotely true. With the incredible uncertainty in today’s economy from job losses to a lack of confidence in the markets, there are no indicators out there that show that the market will return to previous levels anytime soon. This is my opinion of course. The encouraging news to sellers is that over the past couple weeks I have seen an increase in the number of buyers looking to purchase a home. There are always people that have to sell their home and buy another. The Kamloops Real Estate Board has been reporting more sales lately than we saw last month. The statistics will come out in early February and I will include them here. If you are thinking about selling your home, my suggestion would be, get it on the market sooner rather than later. There are a number of sellers wanting to go on the market in the spring. Beat the rush and get your property on the market and advertised to the public before the spring rush and increased competition. The recently announced federal budget gives some relief to homeowners, but it is not expected to change the current condition of the real estate market in Kamloops, provincially or nationally. The number of listings on the market not only in Kamloops but nationally are up and the number of home sales are down. It would take a number of factors to change before this ratio adjusts. The federal budget offered the following: first time home buyer’s RRSP allowance was increased and tax credit was increased. There are also tax write-offs for home renovations. In an uncertain market these allowances and tax cuts most likely won’t change the rate at which real estate is selling in B.C. but it will encourage current home owners who are on the fence about renovating their home to take the tax write-off as it will not be available forever. The positive aspect of the new home renovation tax write-off is it will keep people working. Some trades people in Kamloops have felt a slow down in their business. This stimulus should encourage home owners to consider hiring a professional to help with renovations. Below I have included an article from the Vancouver Sun. Potential home buyers won some small gains out of the federal budget that won’t necessarily re-spark activity in the declining residential real-estate sector, but do go along with the theme of offering incentives for consumers to spend. In Tuesday’s budget, Finance Minister Jim Flaherty raised the limit for how much first-time home buyers can withdraw from RRSPs to make a down payment to $25,000 from $20,000 for individuals and $50,000 from $40,000 for couples. Also for first-time purchasers, Flaherty included a 15-per-cent tax credit on home-purchase closing costs to a maximum of $5,000, which would be worth $750 off a buyer’s federal tax bill. Murphy said the RRSP home buyer program, first initiated in 1992, has been a very popular program, and that more buyers “than you might think” take advantage of it. The program allows buyers to withdraw money from their retirement investments tax free for use as part of their down payment so long as they pay it back into their RRSP accounts within 15 years. The federal government has estimated increasing the limit will cost $15 million a year over the next two years. The tax credit on closing costs is expected to be more expensive, costing the federal treasury $30 million in fiscal 2008-09, $175 million in 2009-10 and $180 million in 2010-11. Increasing the limit on RRSP withdrawals to keep step with rising home prices is something the mortgage industry and realtors have been advocating for a long time, Murphy said, and he expects there will be buyers who do use the extra money. And while the $10,000 increase in the limit for a couple might not be a huge increase, Murphy said it can help reduce the principal of mortgages buyers take out, or help push them over the threshold for not requiring mortgage insurance on their transaction. “Every little bit helps,” Murphy said. Dave Watt, president of the Real Estate Board of Greater Vancouver, added that home sales have considerable spin-offs in terms of the furniture new homeowners tend to buy and home improvements they tend to make. And the whole thrust of Flaherty’s budget was to encourage average people to spend, says Lincoln Schreiner, a Vancouver-based tax-practice partner in the firm PricewaterhouseCoopers. 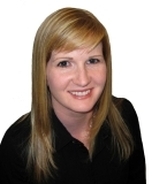 For up to date Logan Lake and surrounding area homes for sale click here. 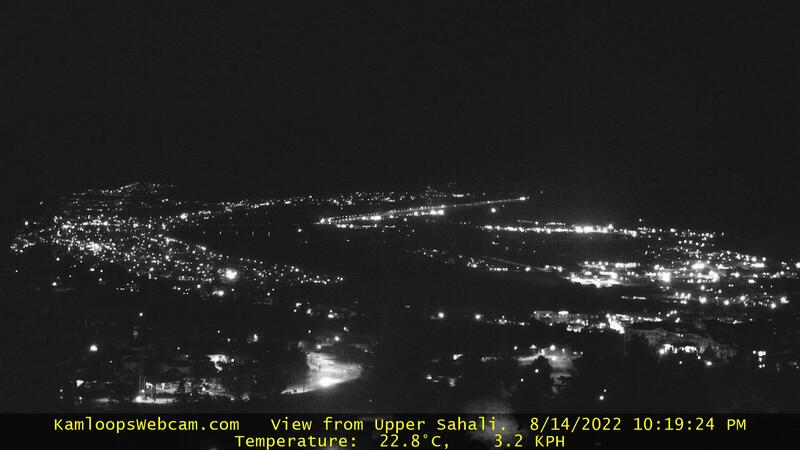 The district of Logan Lake is located in the Highland Valley between the City of Kamloops, the city of Merrit and the village of Ashcroft. Logan lake originally was a mining town set up in the early 1970’s. 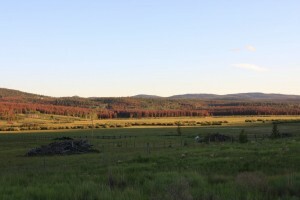 It was set up to support the expanding copper mine development, Highland Valley Copper, located 15 kilometres west. Logan Lake developed into more than just a mining town over the following decades and became a beautiful rural community boasting a population of over 2300. 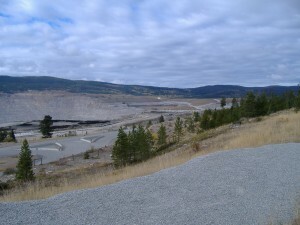 Mining is still the main industry in Logan Lake. Highland Copper has the largest open pit copper mine on the North American continent. 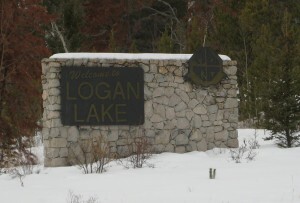 There are numerous outdoor activities to do in Logan Lake such as: cross country skiing, fishing, golfing, hiking, snowmobiling, horseback riding, ATV riding, dirt biking and pond hockey. With over 30 lakes in the immediate area Logan Lake is know for amazing fishing including Lac le Jeune with it’s famous fighting rainbow trout. Golfing is a popular activity, Meadow Creek Golf Club just east of Logan Lake located in the lush pine and aspen forest is a nine hole course (3,124 yards, par 36). The golf course is within walking distance of downtown. Logan lake also has a recreation centre with an ice rink, curling rink and weight room. There are also other seasonal sports fields such as ball diamonds, soccer fields, tennis courts and a swimming pool. This is also an elementary and high school located within the city centre, completing this family orientated community. 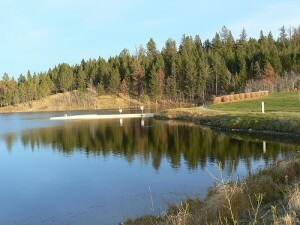 There are a variety of residential properties for your choosing in Logan Lake. Single family homes, townhouses, apartment units, duplexes and 1/2 duplex homes, farm properties, acreages, and mobile/modular homes. This area has a home available for every budget. The Kamloops Real Estate Board is reporting that there are 46 listings currently on the market in Logan Lake. There are nine lots ranging in price from $45,000 to $295,000 and ranging in lot size from 0.18 acres (7840 Sq. Ft.) to 75 acres (3,267,000 Sq. Ft.). There are nine apartment listings ranging in price from $69,900 to $128,500, four modular homes ranging from $129,900 to $165,900 and townhouses $159,900 to $172,900. Finally, single family homes currently on the market; there are 21 single family homes on the market ranging from $169,o00 to $765,000. To view current MLS listings in Logan Lake and surrounding areas click here. The Demographia 5th Annual International Housing Affordability Survey for 2009 is out. It rates metropolitan markets for affordability of the housing in each market. Australia, Canada, Ireland, New Zealand, the United Kingdom and the United States are all discussed. The Demographia International Housing Affordability Survey employs the “Median House Price to Median Household Income Multiple,” (“Median Multiple”) to rate housing affordability. The ratings are as follows 3.0 or Less is defined as “Affordable”, 3.1 to 4.0 “Moderately Unaffordable”, 4.1 to 5.0 “Seriously Unaffordable” and 5.1 and above “Severely Unaffordable”. Over the past year, house prices have declined in most markets. This “bursting of the housing bubble” followed an unprecedented increase in housing prices in all markets except some areas in the United States and Canada. The result is that housing affordability has generally improved, though remains at Median Multiples well above the historic norm in many markets. Vancouver came in at 8.4, Victora 7.4, Kelowna 6.8 and Abbotsford 6.5 to name a few. All the previously named markets are defined as “Severely Unaffordable”. The province of British Columbia was generally described as severely unaffordable based on the calculations employed in this survey. However, many of these severely unaffordable markets have experienced steep price declines in the last year. Among the major markets, Vancouver is the least affordable. The Kamloops market was not specifically cited in this survey, but as a part of the province of British Columbia one can draw the conclusion that we too are at least “seriously unaffordable”. To read the entire PDF document from The Demographia Survey click HERE.